Tsitsipas burst onto the scene by reaching his first tour-level final at Barcelona last April. 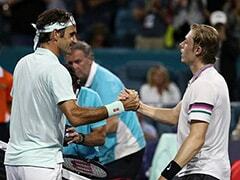 Conqueror of his idol Roger Federer in the last 16 of the Australian Open, the rise of Greek youngster Stefanos Tsitsipas is one that appears destined to carry him to the top of the tennis world. He made no secret of his immense respect for the Swiss star, whose posters coated the walls of Tsitsipas' bedroom as a child, but the 20-year-old Athenian didn't allow sentiment to stand in his way. "He's a legend of our sport," Tsitsipas said ahead of his clash with the 20-time Grand Slam champion. 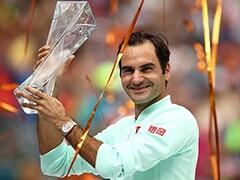 "If I thought about it now it's insane I'm in this position where I can actually play him. It's really emotional." 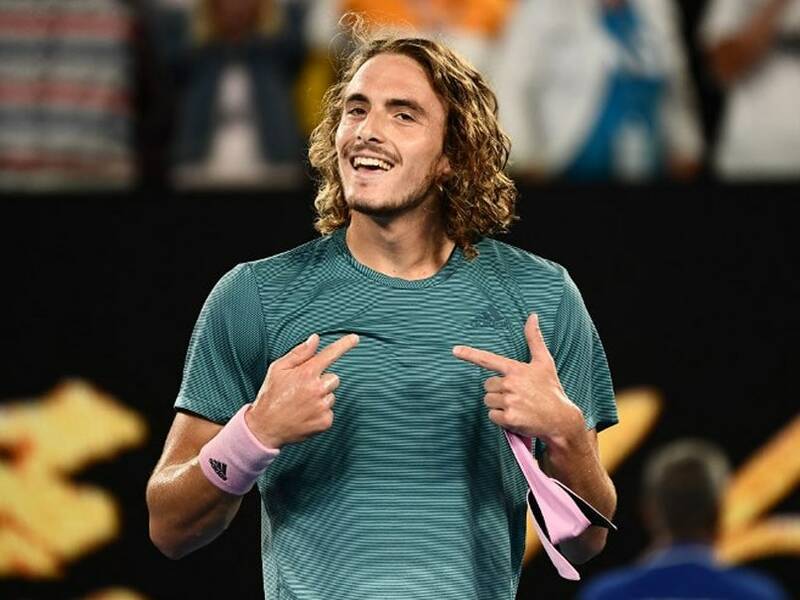 But Tsitsipas showed scant regard for the world number three -- the double reigning champion in Melbourne -- on Sunday, playing the brand of tennis that has propelled him to 15th in the rankings after barely two seasons on tour. He will climb yet further following his best performance to date at a Grand Slam, and the Greek intends to continue building on a breakthrough year in 2018. 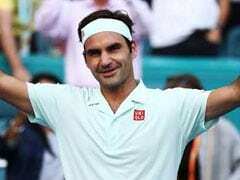 His reward for felling Federer is a quarter-final, he is the first Greek ever to reach this stage of a Grand Slam, on Tuesday against Roberto Bautista Agut. Tsitsipas burst onto the scene by reaching his first tour-level final at Barcelona last April and then finishing runner-up to Rafael Nadal at the Rogers Cup in Canada where he claimed four top-10 scalps. Those impressive runs ultimately led to a maiden title at Stockholm in October, the first-ever for a Greek player on the ATP circuit. "I always thought it would take me longer to get there. But I've worked hard and it's not a surprise to me," a confident Tsitsipas said at the time. It's not just the physical prowess of the 1.93m (6ft 4in) Tsitsipas that sets him apart. "Stefanos is in the process of acquiring a great mindset, which is largely down to difficult wins he's earned," his father and coach Apostolos Tsitsipas told AFP recently. While he joined the Mouratoglou Academy, a renowned producer of elite players located on the Cote d'Azur, in 2015, Apostolos has stayed at his son's side and remains a pivotal figure in his career. "A very special connection" links father and son says Stefanos, for whom family provides a welcome respite from the rigours of professional tennis. Armed with a formidable one-handed backhand and a powerful serve, the Greek's trajectory has been carefully overseen by his father, a coach at a club in a chic Athens suburb, but also by his mother, a former professional player in the Soviet Union. Julia Salnikova is the daughter of an Olympic football gold medallist, and she too is fully integrated into the sporting culture that permeates the Tsitsipas family. The secret "is to gradually set goals and make the player aware of his responsibilities to make them progress" repeats Apostolos. Stefanos, the eldest of four siblings, first tasted success in 2016 when he won the Wimbledon boys' doubles title and rose to the top of the junior rankings. He is a young man seemingly without limits, personified by the #TsitsiFast hashtag -- a favourite of the Greek's on social media. The angelic-looking Tsitsipas also runs his own Youtube channel, offering a glimpse into his life behind the scenes while also transporting his fans from tournament to tournament. His fledgling "A Greek Abroad" podcast gives further insight and Tsitsipas is an aspiring photographer as well. He documents his work as "Steve the Hawk" on Instagram, a username befitting one soaring towards the summit of men's tennis.